A note here for all our Members and visitors and those that may wish to take up this amazing sport. We are moving into our summer season on Tuesday 30th April so please check on our opening times below. 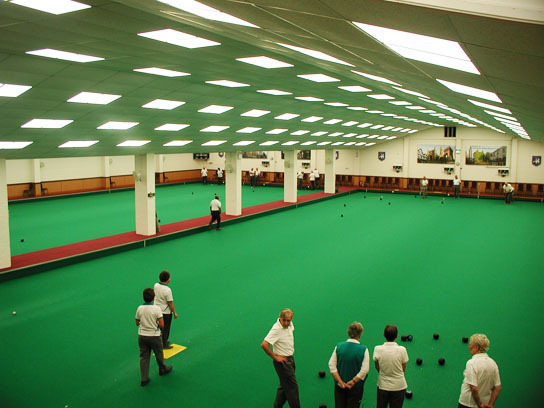 Welcome to Colchester Indoors Bowls Club, established in 1982 and located in Colchester, Essex. The Club is affiliated to the English Indoor Bowling Association Limited (EIBA) and the Essex County Indoor Bowling Association (ECIBA), together with the London & Southern Counties Bowling Association. The Club caters for all ages although children under three years old would not be allowed into the bowling area or bar. The Junior Section is very active and there are special sessions run on a Sunday evening throughout the winter season. There are reduced rates for juniors (up to age 25) and the Club has a good selection of bowls to suit. 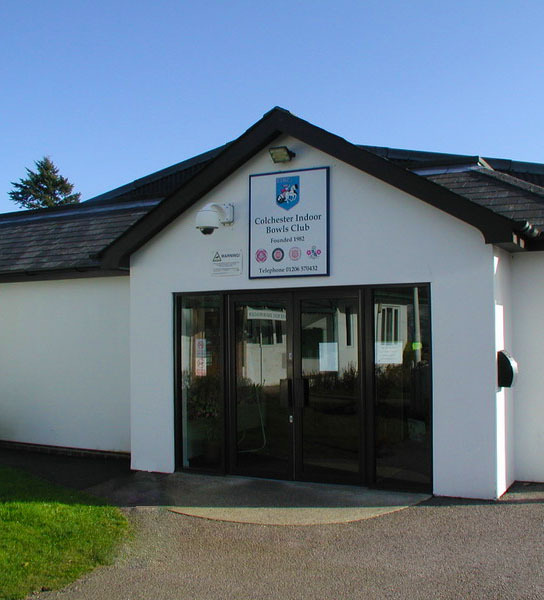 The Club has six bowling rinks, a restaurant, bar, shop, changing rooms and the unusual feature of an excellent viewing gallery for spectators to watch the bowling. The Club also has full facilities for disabled members, including toilet facilities, specialist wheelchairs, access ramps to the green along with adequate free parking with disabled spaces. During 2016/17 we made significant changes in the Club to improve our carbon footprint and power usage. We have installed LED lighting throughout and and replaced our gas heating installation with an electrical air source heat pump system. Already we can see and feel some of the numerous benefits of this switch. The lighting is now first class and both the cooling and heating elements of our ASHP system was tested throughout the winter and the hot summers weather and passed successfully. The full system has been running during operational hours and is a vast improvement on the old system. We have recently installed solar panels on our roof and have reduced our power take up from the grid substantially. This in turn has reduced our carbon footprint and utility bill even further. Winter Season - October 2018 to April 2019: Opening from 08.30am until 10.30pm (10.00pm Sunday) Monday to Sunday. The Club is closed for bowling at weekends in the summer months, although some social functions may be held; these will be published on our “Social Events” website page. The Club is managed by Club Steward, Keith Cullis and his four Assistant Stewards. We currently have a bowling membership of 751, plus 157 social members. Club Coaches are available to give instruction, usually at the lunchtime “Roll Up” sessions. Lessons are bookable in advance with the Coaching team and other times can be accommodated if agreed with your Coach.